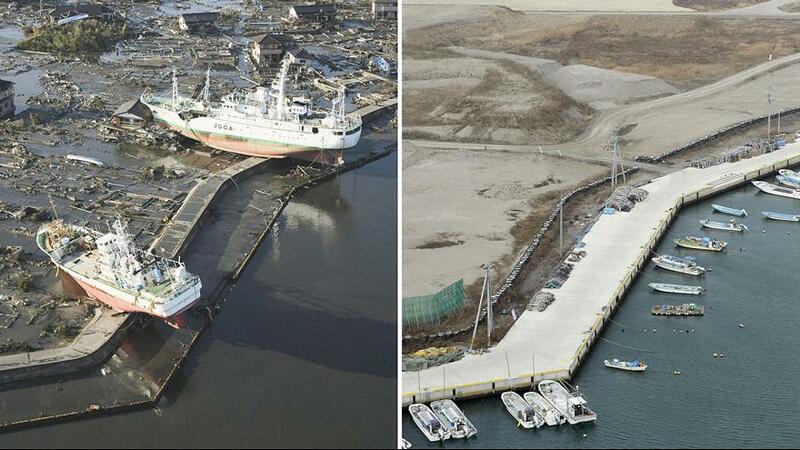 ​Eight years after the 11 March 2011, Great East Japan Earthquake, reconstruction of the Pacific coastal areas of Tohoku ravaged by the giant tsunami has made significant progress in terms of infrastructure, with the planned construction of seawalls, roads damaged in the tsunami and public housing for people who lost their homes nearly complete. The 10-year intensive reconstruction period, for which the government set aside ¥32 trillion, will end in about two years. But efforts to rebuild people’s lives that were shattered by the multiple disasters eight years ago are still only halfway done and must be sustained for many more years ahead. 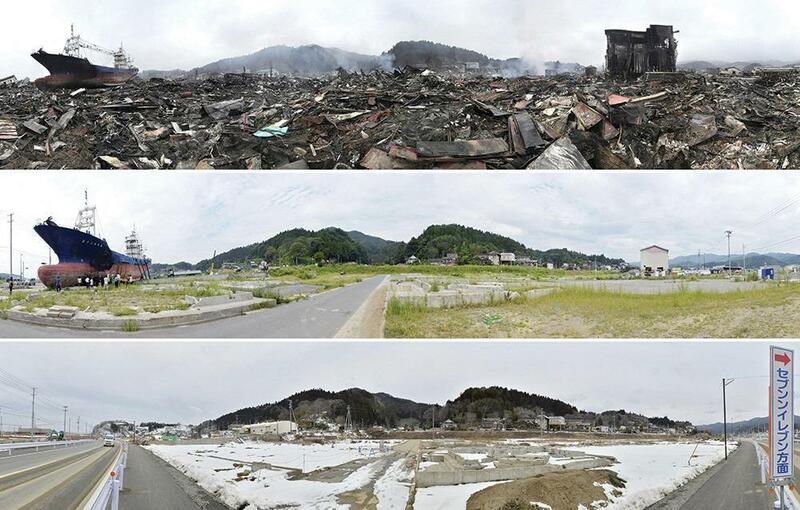 Of the 27 cities, towns and villages in the severely affected coastal areas of Iwate, Miyagi and Fukushima prefectures, 24 municipalities have either completed their reconstruction projects or are set to do so by fiscal 2020. Of the roughly 30 000 public housing units planned for those who lost their homes in the disasters, 95 percent have been completed. Over 90 percent of the farmland and fisheries processing facilities ruined by the tsunami have been restored to arable and operable conditions. The JR Joban Line, which connects Tokyo and Tohoku on the Pacific coastal areas, is expected to resume full operation in March 2020 after reconstruction of a 20 km section in Fukushima Prefecture is finished. 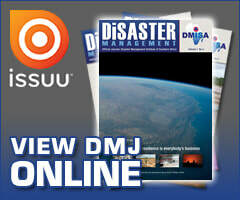 At the same time, roughly 52 000 people remain displaced after they evacuated their hometowns in the 2011 disasters. 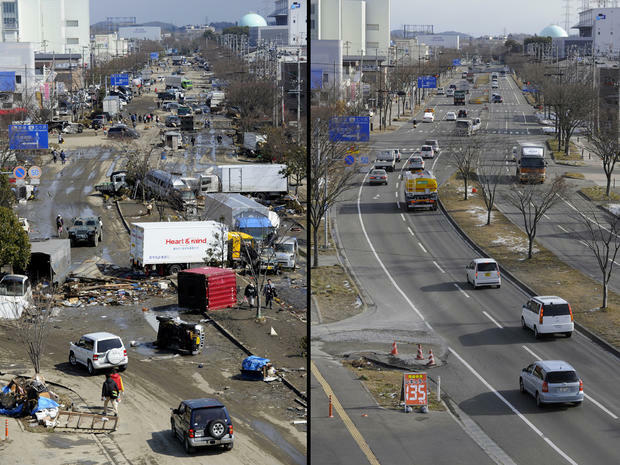 Although far fewer than the number of evacuees just after the disaster, which peaked at some 470 000, around 40 000 residents of Fukushima Prefecture, who were forced to flee in the wake of the meltdowns at Tokyo Electric Power Co’s Fukushima No 1 nuclear power plant after it lost its emergency power, remain unable to return to their homes. Reconstruction of public infrastructure continues to lag behind in the prefecture, where some of the areas around the crippled Tepco plant remain off-limits to residents. The number of households that continue to reside in prefabricated emergency housing units has declined to some 1 500, accounting for three percent of the total number of temporary housing units that were built after the March 2011 disasters. Their stay in the supposedly temporary units has become unusually long, given that all the people who sheltered in such units following the Great Hanshin Earthquake of 1995 were able to vacate them in about five years. Around 1 300 people in some 600 households plan to continue to occupy the units beyond April. Depopulation has progressed in the areas hit by the March 2011 disasters, with the exodus of youths gaining speed in particular. Of the total 42 municipalities in Iwate, Miyagi and Fukushima, 25 have suffered a population decline of more than 10 percent since 2011. Many of the occupants of rental public apartments and other housing for those who lost their homes in the disasters are elderly residents who cannot afford to rebuild their own residences. The exodus of the youth population has left many public housing units unoccupied. In the wake of the nuclear disaster at the Tepco plant, extensive areas around the plant that straddled 11 municipalities were turned into no-go zones due to the radioactive fallout, forcing residents to evacuate. Following decontamination efforts and the restoration of basic infrastructure, the evacuation orders have been gradually lifted in many of those municipalities since 2014. The government is considering lifting the evacuation order in part of the town of Okuma this spring, which would be a first for one of the municipalities that host the Tepco No 1 plant. However, the restoration of residents’ lives remains mixed as many choose to stay away from their hometowns. Parts or all of six municipalities are still designated off-limits due to their high radiation levels. 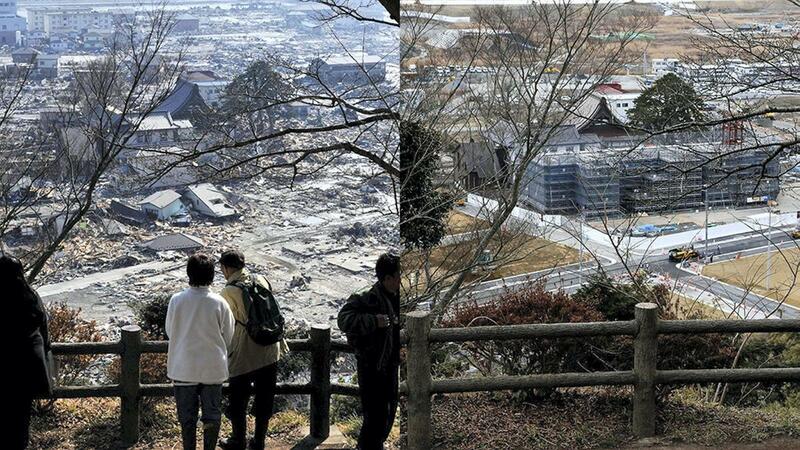 Of the roughly 47 700 people registered as residents of the Fukushima municipalities where the evacuation orders have been lifted since 2014, only some 11 000 people, or 23 percent of the total, have indeed returned to live in their hometowns. Many others are believed to have resettled in the places to which they evacuated. The return of former residents remains slow, particularly in areas where it took longer for the evacuation order to be lifted. In parts of Namie, where the no-go order was lifted only in the spring of 2017, only six percent of the residents have since returned, while the ratio remains similarly low in the nearby town of Tomioka. The Reconstruction Agency, established to take charge of the 2011 disaster rebuilding, is set to be disbanded when the 10-year reconstruction period ends, although the government reportedly is exploring the creation of a successor organization. The restoration of infrastructure crippled in the disasters may be nearly completed after eight years, but the rebuilding of people’s lives disrupted by the catastrophe, including psychological support for them, remains an ongoing challenge.